A black bird soars through stormy clouds, effortlessly evading lightning strikes. As it weaves between puffs of clouds, something on the ground catches its eye: a sword piercing a stone. He swoops down and takes the closest distance between two points. But as he approaches the sword, it explodes. The sword hurtles away. The stone shatters into pieces. Fire spurts out from where the stone lay. And from the shards of rock, four sprung balances appear, each piece representing the four basic elements: water, fire, wind, and earth. These four sprung balances take their place on the watch face, each at differing 45-degree angles at the four corners of the watch. As the camera zooms out, it reveals the latest watch from Roger Dubuis. This was how the Excalibur Quatuor was introduced in 2013. The four escapements, diagonally positioned, were connected in pairs by a series of differentials. These escapements average each other out, helping the watch to be more accurate. 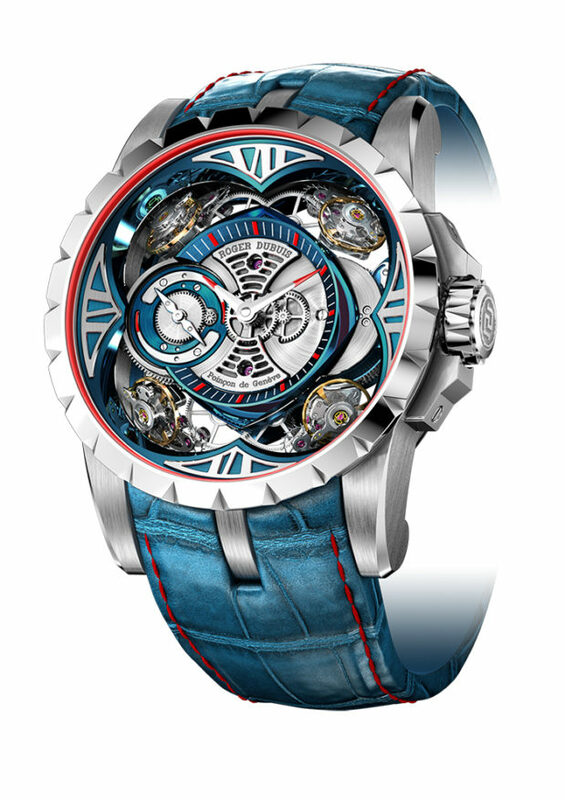 Essentially, they act similarly to a tourbillon. A tourbillon rotates every minute to counteract the effects of gravity on the escapement. The four escapements adjust to these differentials based on the position of the watch. 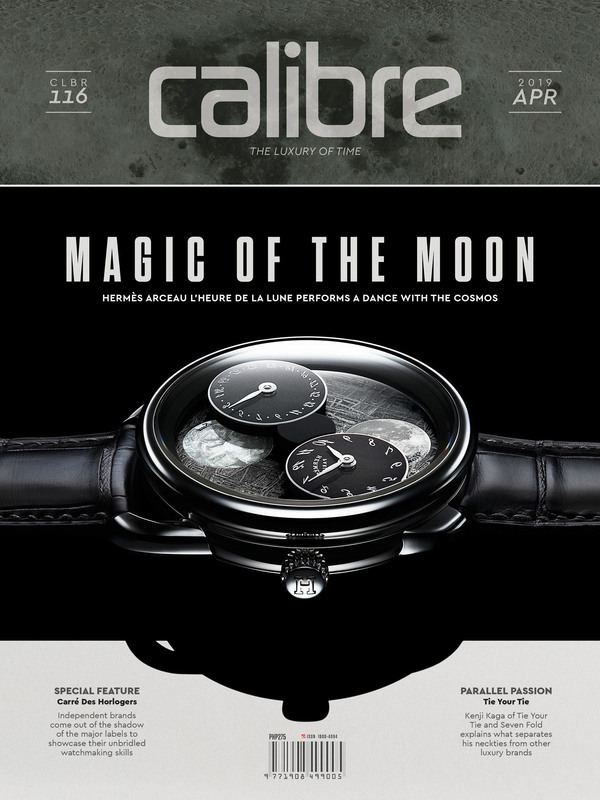 The 2013 model was released in a 48 mm gold case with a variant in silicon. 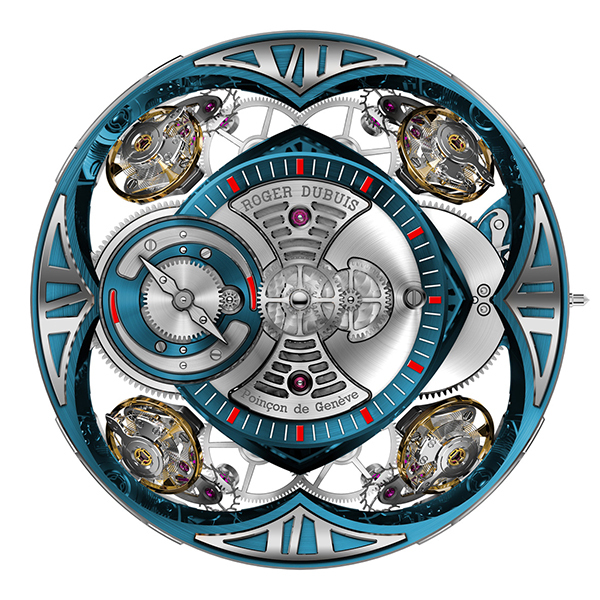 This year, Roger Dubuis releases the Quatuor in a cobalt chrome case, bezel, case back, and crown. This high performance material is produced using an extremely exclusive Micromelt® technology that represents just 0.1% of worldwide metallurgy. The process involves melting and atomizing the alloy into a fine powder by introducing the molten metal to a high pressure stream of gas using a dedicated vacuum induction melting gas atomization unit. This powder is then blended and screened to a controlled diameter, poured into canisters that are sealed and subjected to hot isostatic pressing to achieve full denseness before being hot-worked to produce hot-rolled bars, and then processed to finished size. Cobalt chrome is extremely corrosion-resistant due to the spontaneous formation of a passive protective film. It is also very durable, thanks to its multiphase structure and the precipitation of carbides. The four escapements, diagonally positioned, were connected in pairs by a series of differentials. These escapements average each other out, helping the watch to be more accurate. The Excalibur Quatuor Cobalt Micromelt® also bears the RD101 movement, a hand-wound mechanical calibre with a power reserve of 40 hours. The mechanism alone takes 2-3 days to assemble its 590 parts. The watch, on the other hand, requires some 2,400 hours to build. 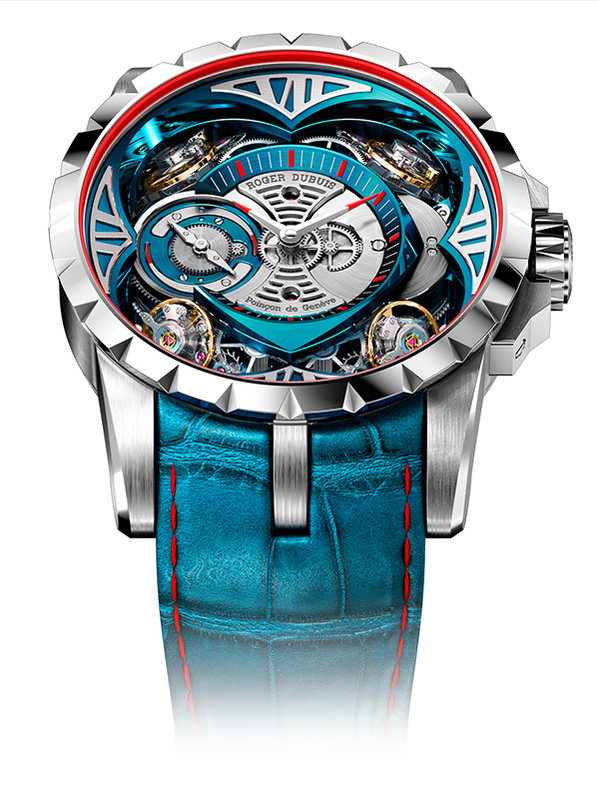 The dial, or rather what little of it there is, is rendered in a PVD-coated blue highlighted by red and white accents. It has rhodium-plated indexes and white gold hands with red tips. Apart from showing the time via the central hands, it has a power reserve indicator at the 9 o’clock position. The clear case back reveals the RD101 movement, consistently bearing the cobalt blue motif found on the dial. Like its predecessor, it is stamped with the Poinçon de Genève. The Poinçon de Genève certifies timepieces as a whole according to criteria relating to watch exteriors and performance. Roger Dubuis purposefully devotes at least 40% longer production times to ensure that all their Poinçon de Genève watches deserve to bear the stamp of exclusivity, know-how, performance, and durability. 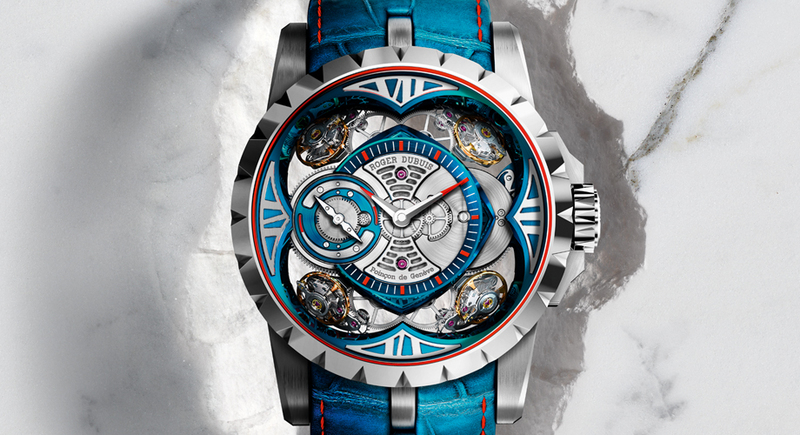 The Excalibur Quatuor Cobalt Micromelt® comes in a 48 mm case and is limited to only 8 pieces.